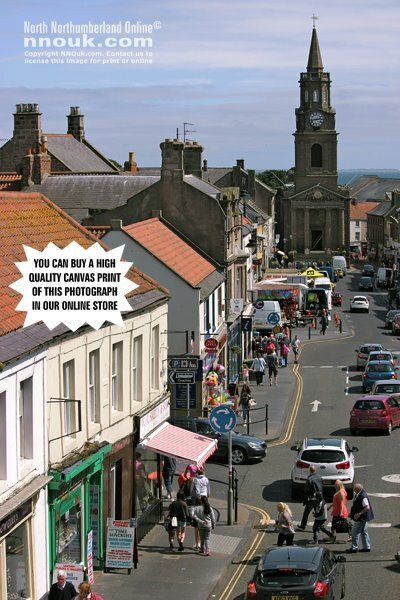 Welcome to the area of England that stretches from Alnwick to Berwick upon Tweed. 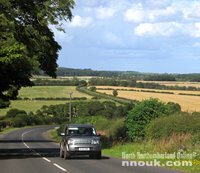 Part of Northumberland — the northernmost county. Steeped in history, this quiet and peaceful region offers great scenery, magnificent castles, beautiful beaches and a warm welcome to visitors. If you would like to visit, check out the ads on our pages to help you with your vacation plans — including hotels and cottages and other holiday accommodation and packages. Spring is the best time to visit. 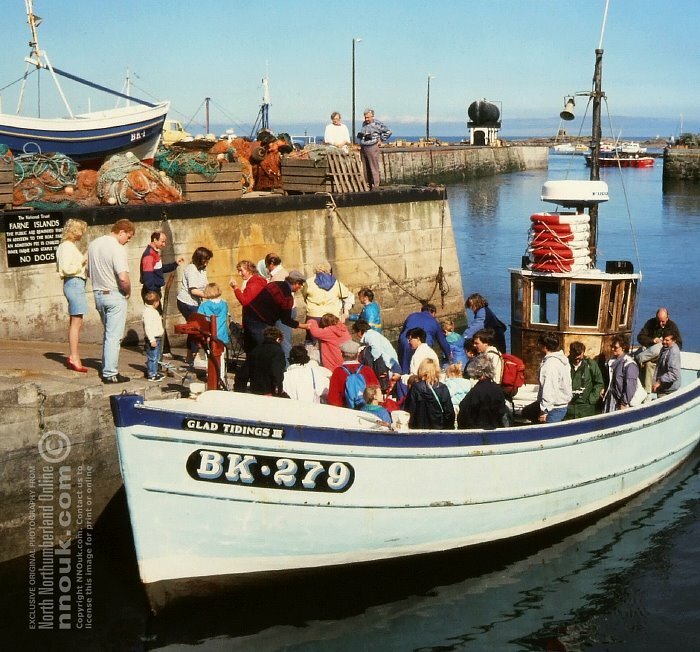 Boat trips leave from Seahouses harbour. 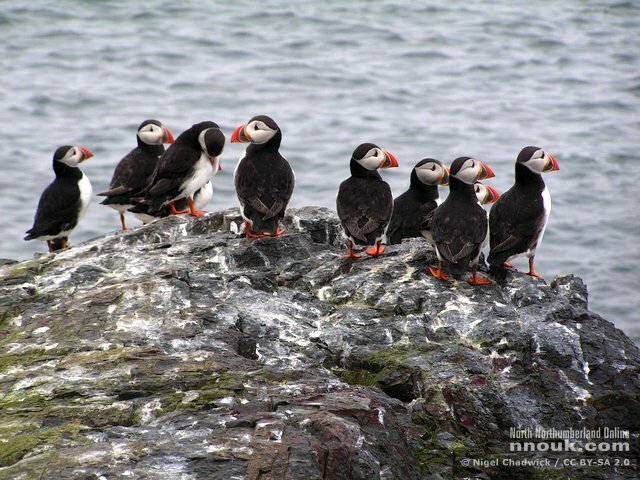 Puffins sitting on a cliff top, Staple Island. © Nigel Chadwick / BY-SA 2.0. 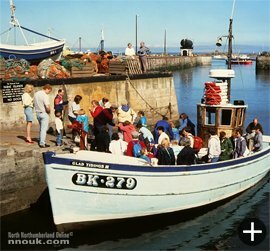 The Farne Islands lie about two miles off the north-east coast and are one of the most famous sea bird sanctuaries in the British Isles. An incredible 182 different species of bird were recorded there in 1999. Guillemots, eider ducks and puffins (55,674 pairs in 2007) are just three that you may see. There is a large colony of grey seals too. 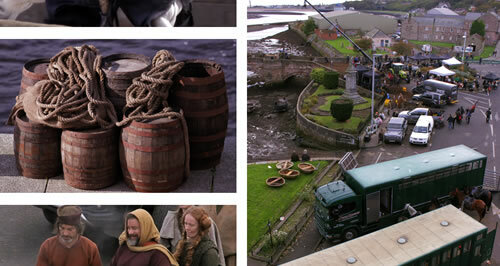 Shooting a film about Robert the Bruce for Netflicks at Berwick upon Tweed, 9 October 2017. To license images or exclusive video footage for publication, contact us here. Some of the sounds you can enjoy in spring in north Northumberland. Featuring three exclusive stereo audio recordings. Each lasts 60-90 seconds. They were recorded on 6 May between the hours of 6am and 8am. The photographs were taken at each location at the same time. First is the sound of a burn, second a point on a public footpath between there and Juniper Hill (listen out for the owl at the beginning). Finally a small oak wood on the Hill itself. If you would like to do this walk, see footpath number one. 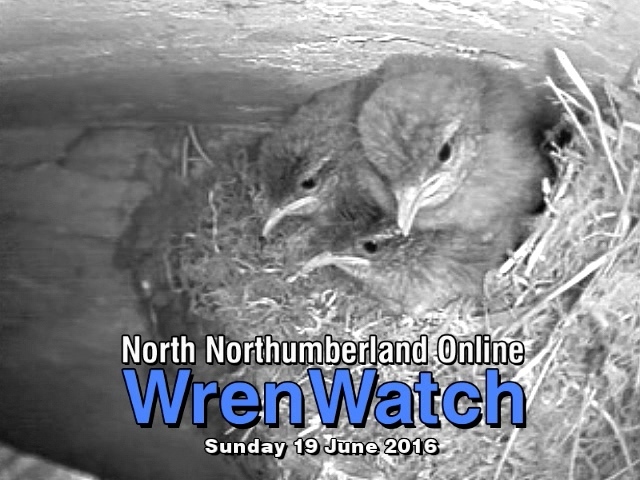 Enjoy all the videos of our nesting wrens in 2016. 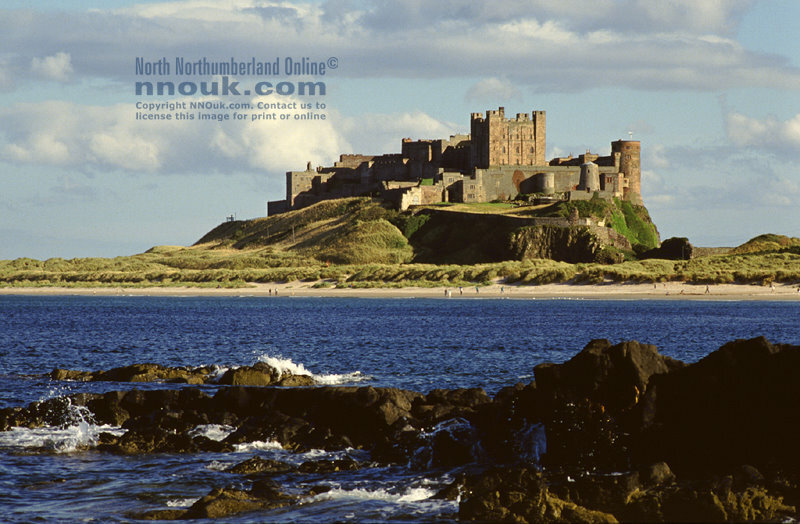 The high ground to the north of Bamburgh gives a great view of Bamburgh castle, the village and Farne Islands. While down on the beach or from the road you get a sense of the sheer size of the building. 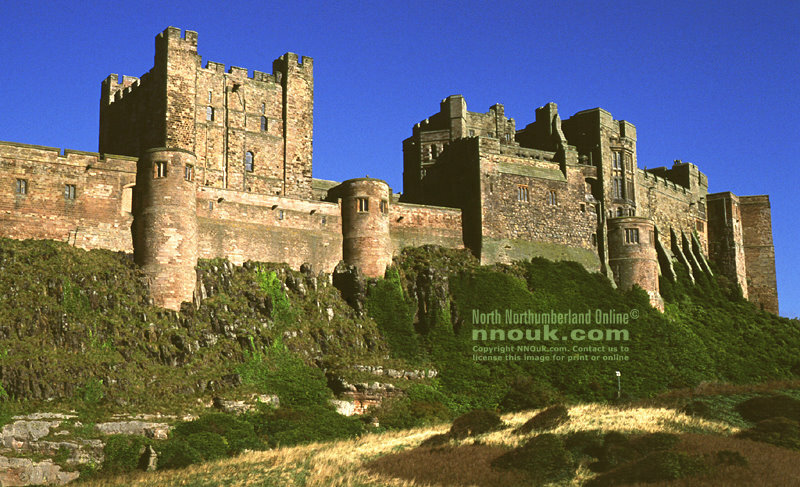 Google asked the public which UK landmarks should be added to its Street View service and Bamburgh castle was the winner. You can see our Street View sightseeing tour on this page. Four of the best beaches in north Northumberland. Whether you're paddling and building sandcastles, surfing or looking for peace and quiet, you'll find something here. 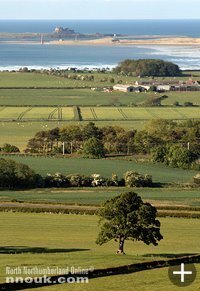 Find out how to get to north Northumberland and travel around once you're here. Full details on our travel page, including tips on how to get the cheapest deal on the bus or train. 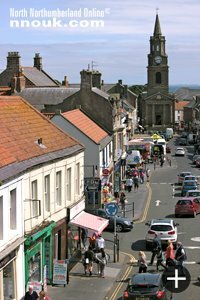 There's lots to see in north Northumberland: beaches and harbours, historic buildings and ancient sites, islands, rolling hills and wildlife, market towns and quaint villages. The photo shows Berwick upon Tweed. 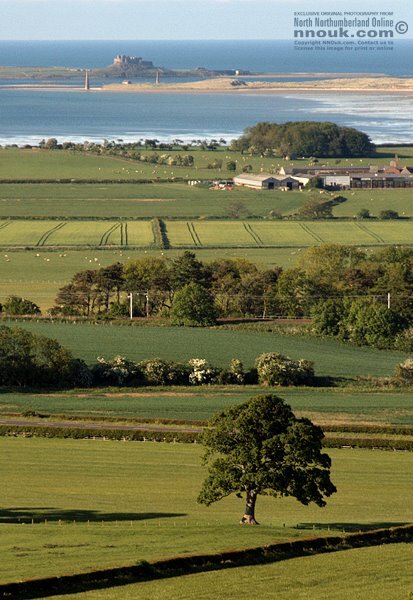 Above: Holy Island seen from high ground near Belford. 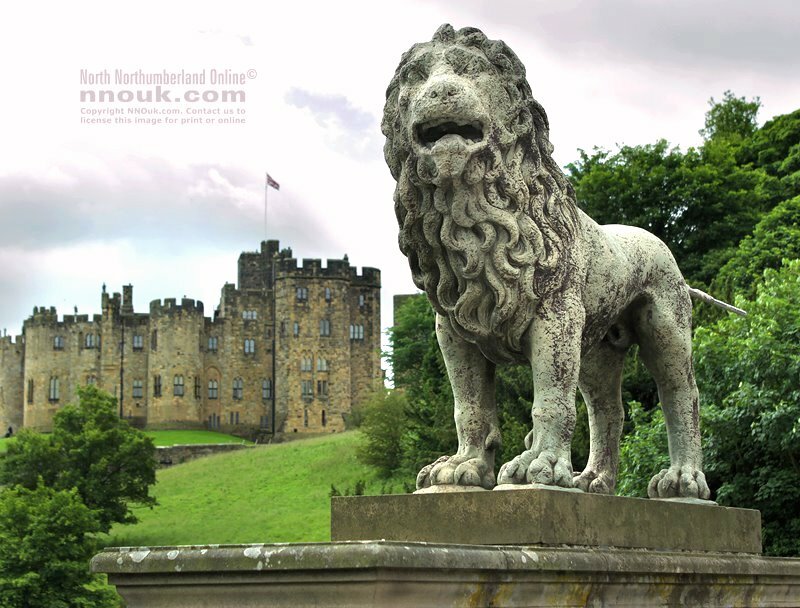 Below: a lion on the bridge into Alnwick. Click here to see our interactive map. Some of the films and TV programmes that have been made in north Northumberland over the years. 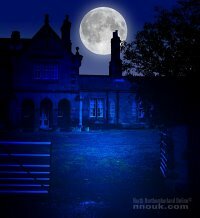 A poltergeist in Embleton in 1957 and big cat sightings. Read more. Ski holidays worldwide including catered chalet holidays across Europe and North America. Games to play: Dots, Concentration, Crab Race and Guess the Country. How to make 'Singin' Hinnies'  a traditional Northumbrian delicacy. Plus other recipes. Online vegan super-market with a store in Fulham, West London.